that influence the value of our option premiums. represent in our options positions. The purpose of this book is to give the reader an overview of the tools needed to master wealth building strategies. However, there are scenarios where share price remains the same and option value fluctuates either up or down. Option price can even move in the opposite direction from what a directional movement in share price would indicate. This immediately alerts us that there are factors other than changes in stock prices that impact the value and therefore the risk of our option positions. These parameters are known as the option Greeks and include changes in implied volatility, time decay and changes in interest rate in addition to movement in share price. If share price rises but call option value declines, perhaps time decay or a decrease in the implied volatility of the underlying security were more influential in that option value than was the increase in stock price. 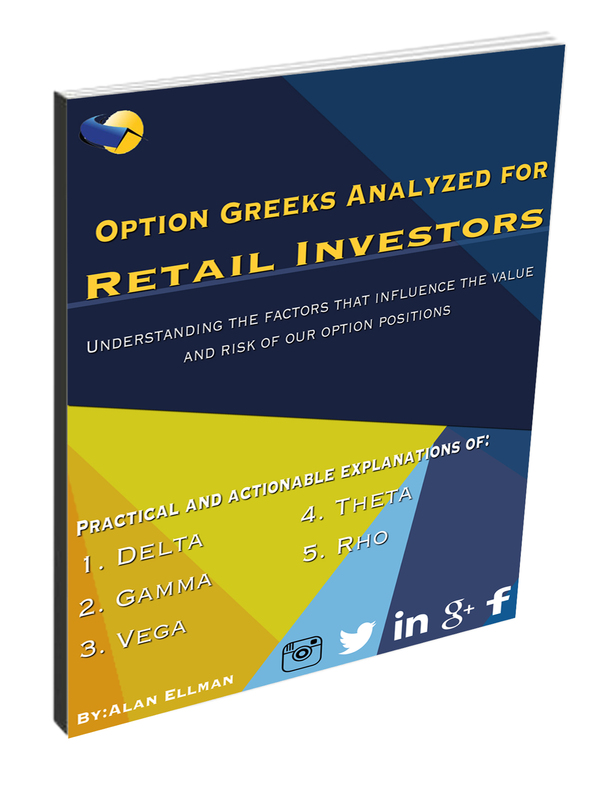 This book will define and explain how each of these Greeks influences option value and the risk they represent in our options positions. Most options traders are knowledgeable about factual statistics that can easily be accessed from brokerage or other online resources. We can simply look up bid-ask spreads, open interest, last prices and Volume. The Greeks, however, are not based on fact but are rather theoretical in nature! ***This is a general guide to Option Greeks Analyzed for Retail Investors.